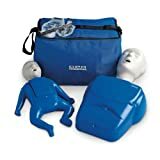 What are the best CPR manikins? If you teach first aid and CPR, you’ll need CPR manikins. 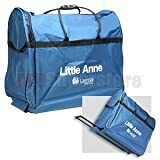 As first aid instructors, we need to provide the best quality training possible for our learners. This means using realistic CPR manikins that mimic performing CPR on a real person. 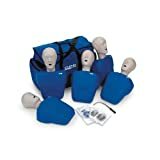 There are a variety of CPR manikins available on the market. Leading manufacturers include Laerdal, Simulaids, Prestan and Nasco. Price is an important consideration. CPR manikins are a specialist product and buying a ‘whole family’ can be very expensive for new first aid & CPR instructors. 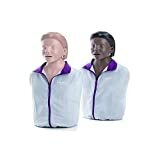 Second-hand CPR manikins are available online, however, make sure to thoroughly inspect their condition before buying. Repeated chest compressions can damage manikins, as can opening the airway by tilting the manikin head backwards. Laerdal Medical is a global manufacturer of CPR manikins and other simulation aids. Laerdal Medical is based in the Netherlands but distributes their products globally. 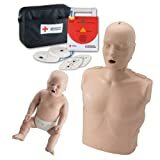 Laerdal provides a wide range of CPR manikins including infant, pediatric and adult versions. We believe Laerdal provide the highest quality manikins. If cared for properly, they will last for many years. Our team have used Laerdal manikins for the past 10 years and never experienced any significant problems. 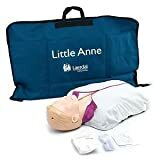 Laerdal are also the most well known with their ‘Little Anne’ brand of manikin. However – Laerdal are not the cheapest supplier of CPR manikins. Their quality comes at a premium and buying a whole family may set you back nearly $1,000 USD. 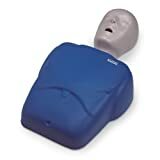 Prestan Products LLC are based in the USA and manufacture a wide variety of CPR manikins. 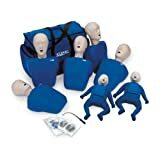 They are a good choice for first aid & CPR instructors based in North America. Their products are available globally though. As they are based in the USA, Prestan products work out slightly cheaper for North American based trainers. Nasco are another USA based supplier of educational simulation aids, including CPR manikins. Their products are more at the budget end of the spectrum. Their manikins are less realistic than Laerdal or Prestan, however they work out significantly cheaper, especially if buying in bulk.